In response to scientific predictions of man-made global warming, the United Nations Framework Convention on Climate Change (FCCC) was adopted and signed by 162 countries in 1992 at the Rio Earth Summit. With 26 Articles, consisting of objectives, principles, commitments and recommendations, the FCCC became a blueprint for precautionary action against the threat of global climate change. The Convention highlighted the fact that human activities, like the burning of fossil fuels, are releasing large quantities of gases into the Earths atmosphere. These gases, including carbon dioxide are enhancing the natural greenhouse effect. 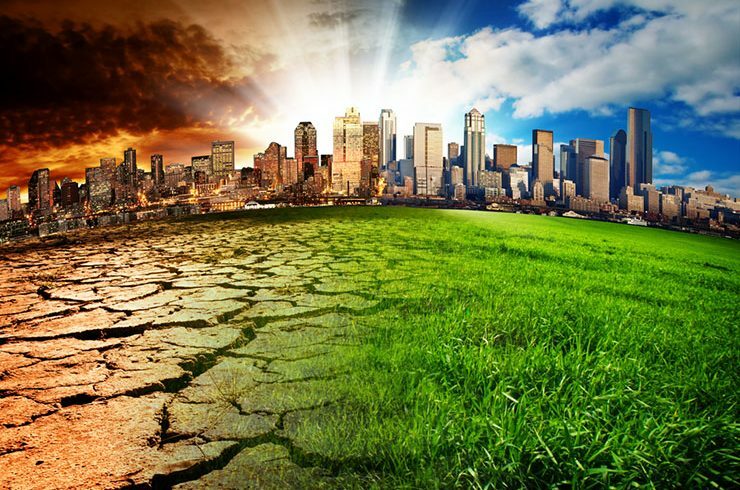 There are many concerns that the increase of such greenhouse gases in the atmosphere is causing “global warming”, which is threatening humans and natural ecosystems. The aim of the Convention was to provide an international framework within which future actions could be taken to reduce the threat of global warming. The Convention indicates that participating nations have the right to exploit their own resources, but they have a responsibility to ensure that their activities do not cause any environmental harm to other nations. The ultimate goal of the Convention is to stabilise greenhouse gases in the atmosphere at a level that will not pose undue risk to the global climate system. Since most of the worlds greenhouse emissions come from developed nations, the Convention challenges the developed nations to take the lead in combating climate change and its negative effects. Developing nations whose economies are based on fossil fuels may have difficulties in reducing their greenhouse gas emissions. It is therefore recognised that developed nations will need to offer technological and financial assistance to the developing nations to encourage their transition towards a more sustainable form of economic development. Provide information on quantities of greenhouse gases emitted. Regularly publish updates on programmes to control greenhouse gas emissions and adapt to climate change. Promote sound management, preserving greenhouse sinks such as plants and forests. Plan for the impacts of climate change on coastal zones, water resources and agriculture. Protect areas prone to flooding or drought. The Framework Convention on Climate Change called for nations to stabilise emissions of greenhouse gases at 1990 levels by the year 2000. In 1997, this objective of the Convention was revised at the third Conference of Parties to the Convention, held in Kyoto, Japan. Nations are now required to reduce emissions of greenhouse gases by about 5% below 1990 levels by the period 2008 to 2012. When enough countries ratify the Kyoto Protocol, this climate change objective will become legally binding.